Earlier this month, Canada’s cannabis regulator warned regulated parties of their obligation to comply with the Cannabis Act, in particular prohibitions related to the promotion of marijuana and accessories, as well as cannabis-related services. Federal law prohibits any promotions that might encourage young people to use cannabis. The letter was sent after Health Canada said it witnessed online promotional content on websites and social media sites without any steps taken to ensure the promotion cannot be accessed by a young person. In other cases, Health Canada said the steps taken may be easily circumvented by youth. “Health Canada has made it clear that one simple ‘click’ attesting to age is not sufficient to prevent young persons from accessing promotional content,” agency spokeswoman Tammy Jarbeau told Marijuana Business Daily. Contravention of promotion prohibitions could come with hefty penalties, include warning letters, license suspensions and/or revocations, ministerial orders and fines up to 1 million Canadian dollars ($750,000). “Health Canada’s expectation is that in the coming weeks regulated parties will review their activities and, if necessary, take steps to ensure that they are compliant with legislative requirements,” Jarbeau said. Health Canada identified a number of additional steps regulated parties could take to make their “one-click” websites compliant. Steps that require entry of date of birth along with the authorization of age. Pop-up messaging making it clear that youth are not permitted to view promotional content. Pop-up messaging emphasizing that youth are not allowed to buy cannabis products. 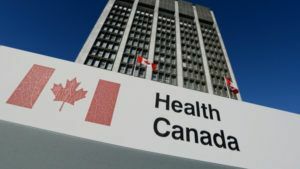 “There are also technical solutions available and other procedures or controls that could be deployed to ensure that a promotion cannot be accessed by a young person,” Health Canada said. Your article only highlights–indirectly–the absurdity of the concept. The only age-proving technology that I can think of would be to require card readers on home computers that would read driver licenses! And that ain’t gonna happen! Geesh the Canadian Government is really as stupid as most people believe. Youth will do what the hell they want and the Government can’t stop them. They will find a way if they desire to participate. It happens with all the so called prohibited vises. Yes, making youths enter a full birthday is sure to exceed their computer skills.